On July 11th I received this little email from the hotel we stayed at in Dubai. 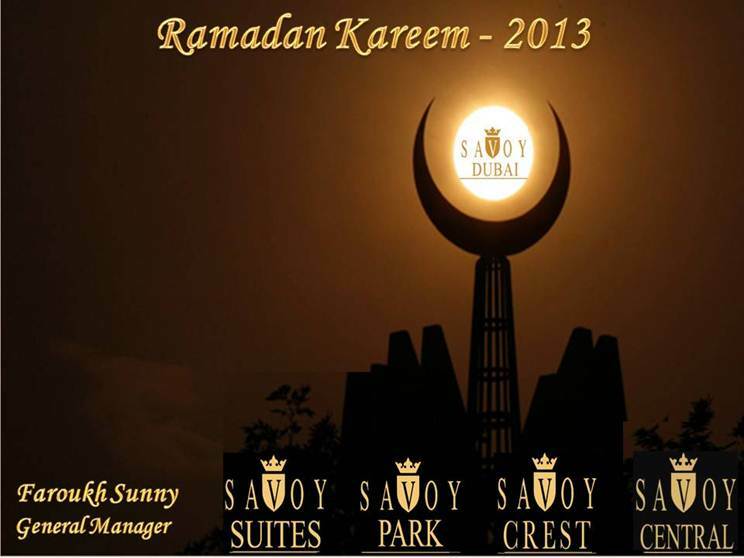 Their wishing me Ramadan Kareem, which essentially means happy Ramadan, was sent to me from Savoy Suites to mark the start of the holiday. It’s really nothing more than a mass email meaning that I landed on their mailing list, but it’s also a reminder of how cool it is to have seen other parts of the world. Lots of people, lots of cultures and lots of religions make up this big planet and I’d like to wish a happy Ramadan to anyone who might be celebrating!